If snoring is keeping your partner awake and preventing you from getting a restful night's sleep, it could be a sign of sleep apnea. 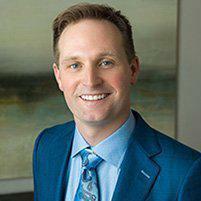 Scott Young, DDS and his expert dental team in The Woodlands, Texas, offer a simple solution — the NightLase® snoring treatment. Dr. Leah Zils, the on-site NightLase specialist, provides this patient-friendly laser treatment so you can get a more restful night’s sleep.  Schedule your visit to Scott Young, DDS online or call today so you can breathe and sleep better. Sleep apnea is a disorder that causes you to repeatedly stop and start breathing while you’re asleep. Obstructive sleep apnea is the most common form of this condition. It occurs when your throat muscles, soft palate, and tongue relax while you’re sleeping, obstructing your airways and causing you to snore or make choking sounds. In addition to preventing you and your partner from getting a good night’s sleep, if left untreated sleep apnea can also lead to serious health complications. What complications does untreated sleep apnea cause? It can also strain relationships with family members who also can’t get a good night’s sleep because of your excessive snoring. Some dentists prescribe mouth guards and other oral appliances that move your jaw forward to support your tongue and open up airways. However, the tissue at the back of your mouth — the soft palate, uvula, and tonsils — remain loose, preventing unrestricted airflow. At Scott Young, DDS, the on-site sleep apnea expert, Dr. Zils, provides patients with a gentle laser treatment called NightLase. This innovative therapy is simple, safe, and effective for treating the soft tissue in your mouth so you can breathe freely. The NightLase treatment takes place in three sessions over the course of two months. Dr. Zils uses a dual-wavelength laser system to stimulate the tissue in your mouth to produce more collagen and elastin. The laser is gentle enough for use in your mouth but effective enough to achieve the desired results of making your soft palate firmer so it doesn’t sag and obstruct your airways. NightLase also helps to shrink your tonsils and uvula so they aren’t in the way either. Each session is comfortable, noninvasive, and takes just 30 minutes. There’s no downtime, so you can get back to daily activities right away, including eating and drinking, without interruption. If you have sleep apnea, and you’d like to learn more about natural, effective NightLase treatments, call Scott Young, DDS or schedule an appointment online today.